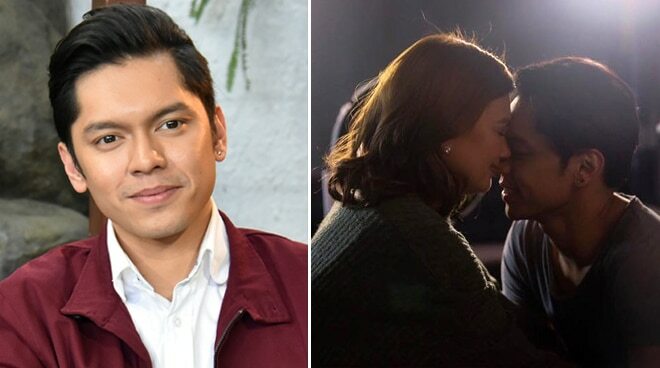 Following months-long speculations on their apparent rift, actor Carlo Aquino has finally broken his silence to once and for all address the controversy involving his former girlfriend and ‘Playhouse’ co-star Angelica Panganiban. Early in January, the actress sparked social media buzz after admitting that their relationship had started to get affected by the negativity of some fans. This came right after Angelica engaged in a word war against a netizen who accused her of tainting Carlo’s reputation, prompting the former to announce that she would then distance herself from the actor for their satisfaction. Soon, Angelica would make waves anew for posting a series of tweets alluding to experiencing a heartbreak amid rumors of Carlo going out with model Trina Candaza. Ngayon lang ako nasaktan. Tapos, na appreciate ko. Kasi, nasasaktan na ko ulit. Totoong nagmamahal na ko. ULIT!!! MAGDIWANG! Iiyak na sana ko. Kaso, naisip ko,,, angge? Naiiyak ka on your own? WhathaOMGFAAAK?! READ: Is Carlo Aquino dating this model? Talking to ABS-CBN reporter MJ Felipe during the media conference of his new film ‘Ulan’, Carlo revealed that he and Angelica have since reconciled. “As long as okay naman kami ni Angge, speaking terms naman kami, okay na ako doon. Kung anuman ang sinasabi ng mga tao, I don’t feel the need to explain anything,” he said. “Basta ‘yung mga taong nagmamahal sa akin, ‘yung kilala ako, iyon lang ang importante. Naiintindihan nila ako,” he added. When asked of his reaction to allegations that he “led on” Angelica, Carlo said that it was inevitable given their strong chemistry “on and off screen." “Hindi maiiwasan talaga kasi on- and offscreen, maganda kami tingnan, e. Ang nagkulang lang siguro ‘yung pag-uusap,” he said, adding that, contrary to what fans have been led to believe, he and Angelica have been nothing but friends the whole time. Meanwhile, “Oo, totoo”, was Carlo’s short answer when asked if his photos with Trina were real, but stopped short on sharing details as to the nature of their relationship – or if there is any to begin with. On why he chose to speak up only now, Carlo said that he prefers to confide in his family and friends who have been his source of strength ever since. “Ever since naman, iyon ang kinakapitan ko, e,” he said. “Naniniwala kasi ako na may ibang mga bagay na kailan mong kini-keep private, para kaya mong tumayo in private. Ganun na lang ‘yung ginagawa ko,” he added.